What sets Worship Backing Band apart from other MultiTrack Players? 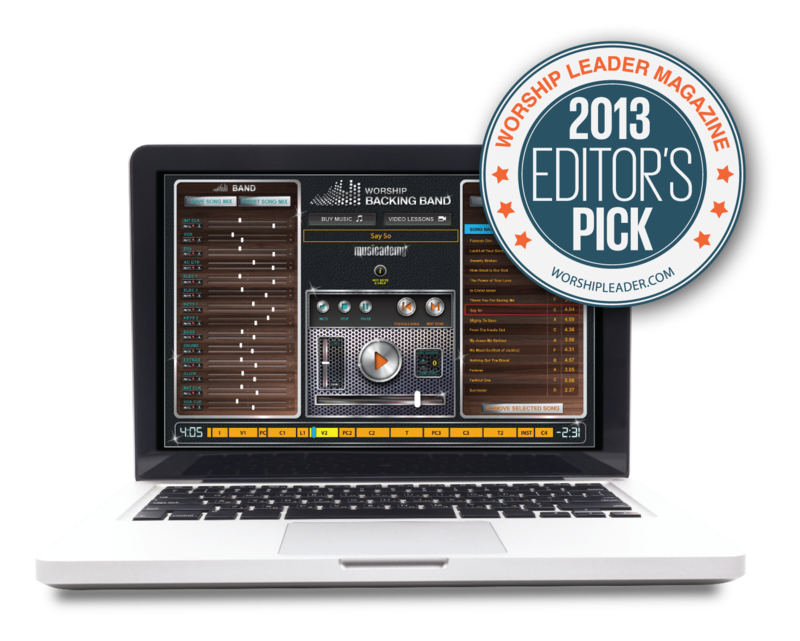 We’re pretty pleased with the Worship Backing Band MultiTrack Player. It was designed to be the simplest multitrack player on the market with all the essential functionality but none of the frills which add to the cost and complexity of other software. It’s proved so good in a live environment that a lot of our customers have started using the player instead of software such as Ableton. It works on both Mac and PC and can also be used with a footpedal for hands-free operation. As well as the simplicity, Worship Backing Band is positioned at a really affordable price point. Not only is the Player itself a low cost, but our MultiTracks are the cheapest WAV format multitracks you can buy. And we offer price breaks when you buy in bulk. Plus, when you buy the Player, you’ll normally get a FREE MultiTrack each month. Have we mentioned how it’s REALLY SIMPLE to use? Click for more information and to buy. How are the Worship Backing Band tracks different? And if we don’t have the song you are looking for then you can also import wavs from sites like Multitracks.com and Loop Community. You can see a full list of all the current songs (and those in development) on the website – find “List of Songs By Format” in the left hand menu. We tend to focus on all the top 150 CCLI songs plus well known hymns and some old favourites. I loved using the worship backing band this past Sunday. Our guitar playing youth pastor is on vacation for several weeks, leaving me to play piano and lead by myself. We also had 2 singers. I decided to not play piano and leave it all to the software. It worked great. We have a large number of older people (65+) and I was able to turn down the electric guitars, drums, base and we had a service almost like the youth pastor had been there. It kept the service moving as the tempo didn’t slow down. I also changed the key so I could lead and not go out of my vocal range (especially love that!) We have used the software before for a few songs, but not for a whole service. I enjoyed using it and it gave me the ability/flexibility to lead and not have to worry about playing piano for once. Thanks! I am a volunteer church worship leader at a small inter-city church in Columbus, Ohio, USA and I recently purchased one of your tracks (Oceans) and I was very impressed by the cue track. I was also impressed by the the arrangement of the song and the overall quality. I appreciate that the track was arranged for congregational singing and it came pre-wrapped in Ableton all for a reasonable price. However, the cue track was, hands down, the BEST because it didn’t just say “Intro, two, three, four” it actually guided and directed our band and me as the singer. I’m relatively new to using click tracks and multi-tracks in worship, and I’ve purchase a few from Loop Community and MultiTracks.com. What I’ve noticed with the community submitted tracks is that the quality and arrangement can vary quite significantly. The premium or professional tracks on the other hand are high quality, but also high priced and usually follow the recorded arrangement, leaving me a bit work to do to before I can use them. Not to mention the fact that I am paying a premium price, but only using a few of the tracks (I only have a need for cue and one or two other tracks). Which does not seem like a good use of my money. Your tracks on the other hand are priced in a range that is much more affordable for me (less than $14) and I don’t feel like I wasted my money if I only ever use 4 of the 16 tracks. Plus the cue or rather guide track is AWESOME. I will definitely search your archive first and purchase tracks from WorshipBackingBand.com. This was a long email just to say “thank you” for making such a high quality product and making it available at reasonable price!! Previous Previous post: Is your church struggling with half a band or missing musicians?